Good Nutrition & Lifestyle Before & During Pregnancy Is The Foundation Of Good Health For Mother & Baby! “Pregnancy and Lactation are critical periods early in life during which good nutrition is a key factor influencing the health of both child and mother. A woman’s dietary intake and nutritional status prior to conception and during pregnancy profoundly influence fetal development, infant health and the pregnancy”. “Nutritional requirements for most nutrients, many vitamins and minerals increase during pregnancy; Hence it is imperative that pregnant women meet these demands by consuming high-quality diets to minimize the risk of deficiencies at that critical time”. Of particular importance during pregnancy & lactation are Folic Acid, Iron, Calcium, DHA and Vitamin B6. With a healthy lifestyle, balanced diet & Ganilia®, you can take the guesswork out of complex formulas in nutrition and focus your attention on welcoming your newborn into the world. 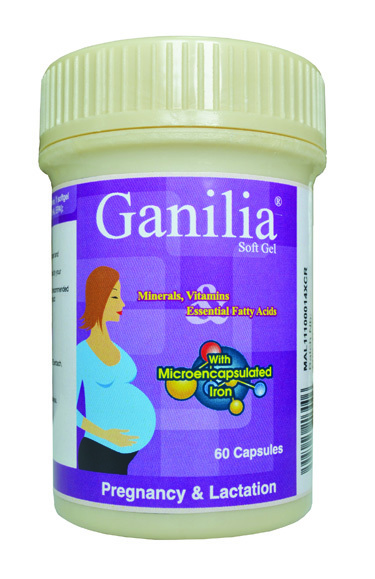 WHAT IS GANILIA®?Ganilia® with Microencapsulated Iron is an innovative and comprehensive formulation scientifically developed for pregnant and breast-feeding women in line with international guidelines and with a focus on what is usually most needed during pregnancy & lactation. Ganilia® helps by providing you with the minimum daily requirements of the main vitamins, minerals and DHA that may be lacking in your diet. Ganilia® is the result of more than 10 years of research in the specific nutritional requirements during pregnancy and lactation. It contains a balanced combination of 15 essential vitamins, minerals and DHA developed with you and your baby in mind. Each Ganilia® softgel capsule is made in Germany and you can be rest assured that you and your baby are receiving the proper nutritional help you both need. WHY “MICRO-ENCAPSULATED” IRON IN GANILIA®?Maternal iron is needed during pregnancy to develop fetal blood cells and for the pregnant woman herself. “Maternal iron deficiency is associated with increased risk of pre-term delivery and subsequent low birth weight”. Common iron supplementation may be associated with a metallic taste in the mouth, constipation and other gastro-intestinal disturbances like “stomach upset”. In addition, iron is a potent oxidant best taken individually. When in direct contact with DHA and other oxygen sensitive vitamins, iron will damage them. 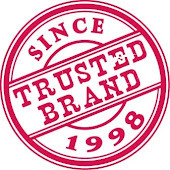 Ganilia® iron is isolated in a “microcapsule” to protect the other vitamins and especially DHA from oxidation. In addition, with a slow release in the digestive tract, Ganilia® iron is better absorbed in the body and the other side effects from common iron supplementation are further reduced. Ganilia® with Microencapsulated Iron is an innovative product from m e d e r i s .
+Please consult your Doctor and Pharmacist for professional advice. The information provided herewith is general in nature and is not meant to replace proper consultation and follow-up by healthcare professional. Every patient has special needs which require personalized attention.